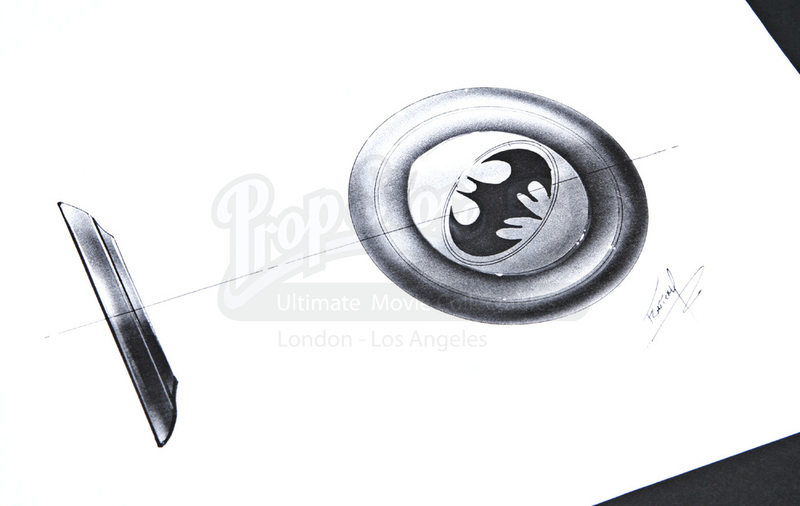 This is a concept art drawing of a bat toy disc created for the 1992 Tim Burton production Batman Returns. 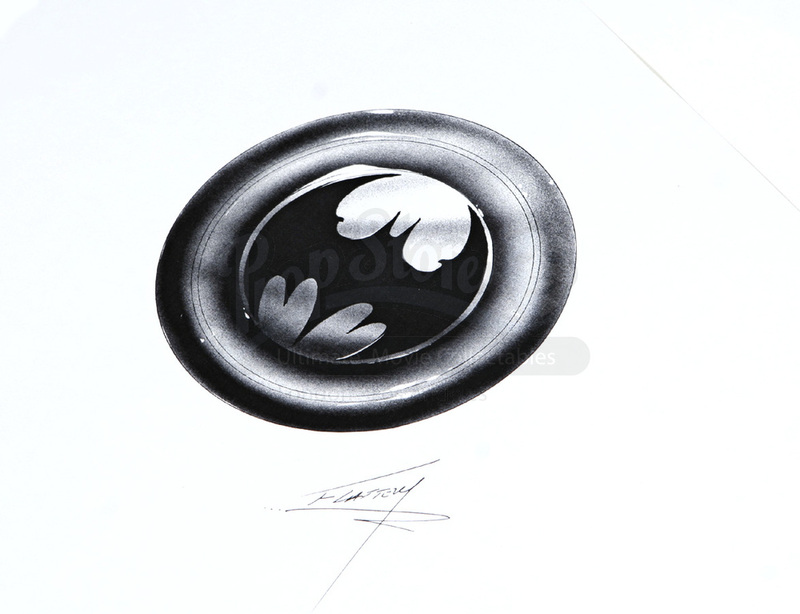 This black and white copy features two copies of three different drawings of the disc, featuring two separate styles as well as the signature of the artist, Tim Flattery. Please note this item is a copy (not original pen to paper.) 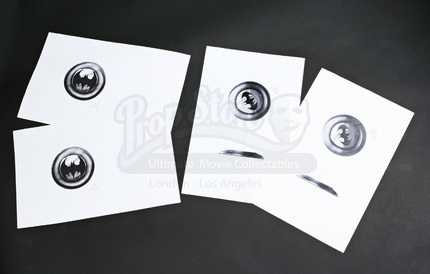 The drawings are on white paper and are in good condition.